Remember when you bought a game at the store, took it home, devoured the user manual the first evening, and then played a game that you would slowly master? Those were the days. Today, games are much more sophisticated and today's gamers want to see their games evolve and improve based on their feedback. 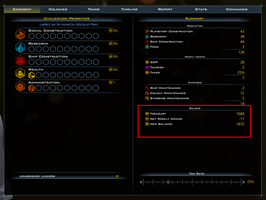 That brings us to this walk-through of Galactic Civilizations III v3. For the purposes of this walk-through, I will be using v3.0 with all expansions installed. Your experience will differ some depending on what you have installed, but assuming you have the Gold Edition, you should be set. 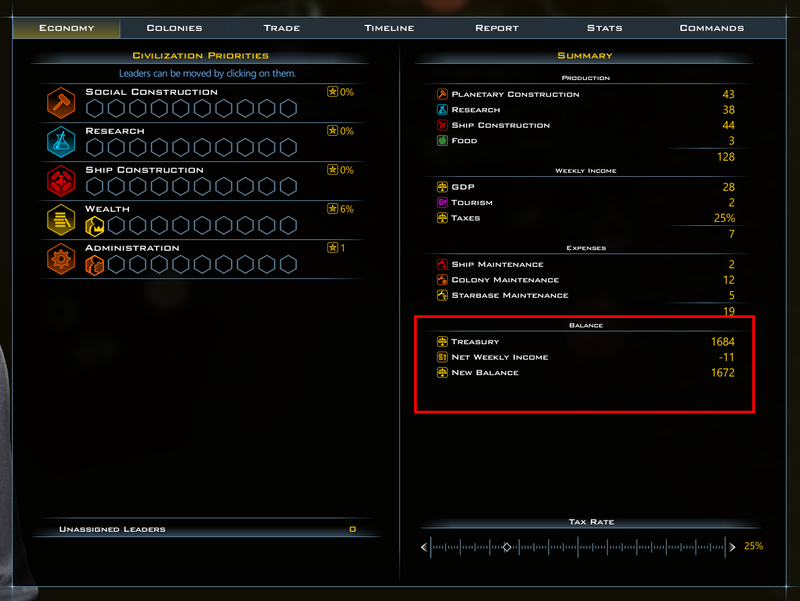 Galactic Civilizations is a sandbox game. That means each game is different. We include a series of campaigns, but other than the tutorial, we recommend choosing "new game" first. For your first game, choose the Terran Alliance. Each alien civilization plays somewhat differently, but presuming you're human, the Terrans are probably the most relatable. For galaxy size, stay with MEDIUM or less for your first few games. Medium requires a system with 4GB of memory. Memory is the price we pay to avoid having "space lanes". For everything else, keep to the default, and into the game you go. In the beginning, you have one ship - your Survey ship. It is a special type of ship that can investigate anomalies (goodie huts). Left-click on it. 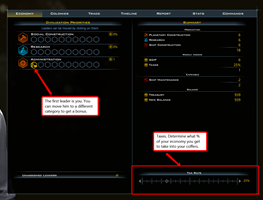 Then click the "Command" button in the bottom left and choose survey. That tells it to automatically go out and hunt for anomalies. At the bottom right, you will see the turn button. It will probably say "Research". Choose that and pick one of the 4 or so technologies. Each one has a very different purpose and will unlock additional technologies to choose from. 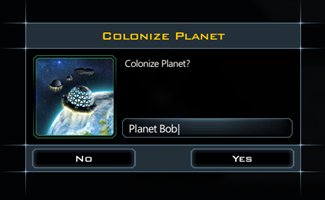 Now the turn button probably says Idle Colony, and will take you to Earth. On the right side are a list of things you can build, and on the left side are a series of green tiles, which are places where you can build things. Select a green tile you want to build something and then select the thing you want to build on it, and then press build. When possible, rush build things. You are meant to have lots of money. Use it to control pacing. If your home planet doesn't start with something interesting, build a shipyard so you can start building ships. Players start with lots of money. Use it to rush build things. As soon as you build a shipyard, you can begin constructing ships. 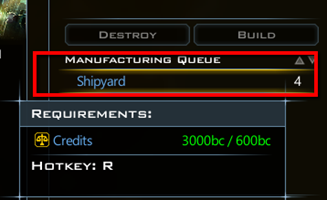 You can choose "Quick build" to get a list of things to build (like a colony ship or a scout). Rush build your first ship. Now the turn button should really say Turn. You can right-click on a destination to send a ship there or order the pilot of the ship do their thing. If you built a scout, this is a good time to send it out to explore other stars for good planets. Use the mouse wheel to zoom in and out of the map. Dots on the unexplored map are stars. Send your ships to those dots to see what is there. Rush build a colony ship so that you have one ready to go and when built, send it to a near by star just to be safe. Click on the VICTORY button at the top left. There are 5 victory conditions. Conquest, Influence, Technology, Ascension and Diplomatic. This screen tells you how close you are and how close your opponents are. Click on CIVILIZATION at the top left of the screen. You will see your production, your income, expenses, and balance. At the bottom of that screen is the tax rate which defaults to 25% (yea, if ONLY!). Your tax rate determines what % of the wealth generated by your civilization you get to steal invest. Your tax rate affects your approval. Lower approval will result in less production and less influence growth, but will bring in more money. At the start of the game, you should have a balanced budget - but this won't last, as you need deficit spending to grow your empire quickly. You (yes, you) are in the game too. You are the little crown icon that defaults to being in Social Construction. If you click on yourself, you return to the unassigned leaders pile. Click on a different category to see the effect (such as administration). This is an easy way to get an extra administrator early on. So far you have started with a Survey ship, built a scout ship, and built a Colony ship. The next type of ship is called a Constructor. Constructors build starbases, which lay claim to resources within their region. Be careful of pirates. This is why I usually build a scout ship and not a colony ship right away. Pirates will destroy any ship they can find. Use your constructor to capture resources. There is an outline of the area that the constructor will capture once it is turned into a starbase. Picking that perfect location for your starbase. Your first colony, if it's not Mars, will present you with a moral dilemma. 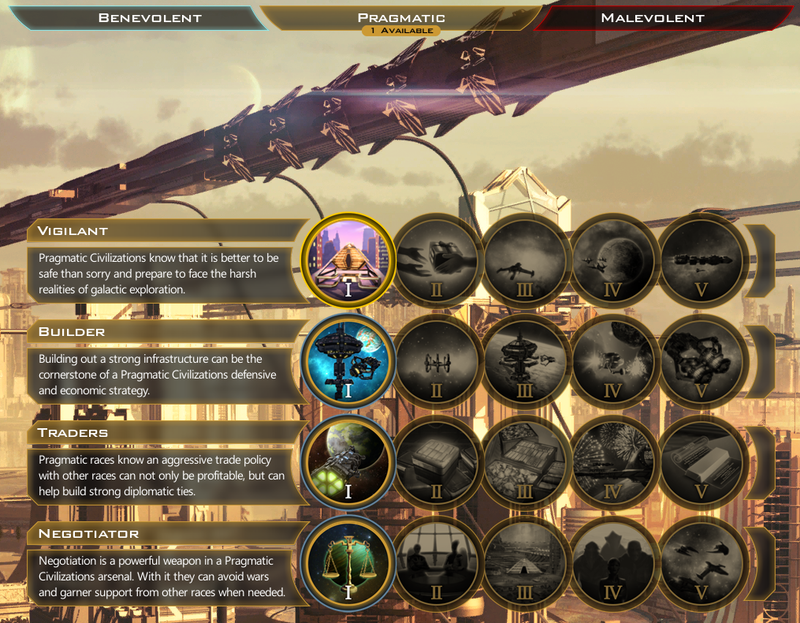 Each choice will give you ideological points which unlock abilities from the ideology tree. This is where you decide what type of civilization you want to be. After you finish colonizing and setting up what you want to do on the planet, you will be asked to form a government (if you have Intrigue). Each government type has strengths and weaknesses, and most cannot be accessed early on. Your ideology choice will bring up the ideology trait screen. Each choice makes future choices cost more. Choose carefully. Every so often, a new citizen enters your civilization. You get to choose what they will specialize in. Humans start out with 3 choices: Administrator (so you can build more special ships), Worker (so you can build up your colony faster), and Scientist (so you can research faster). Now go to Earth, click on add Citizen, and choose that Scientist. They will appear on Earth and give you a huge research bonus. 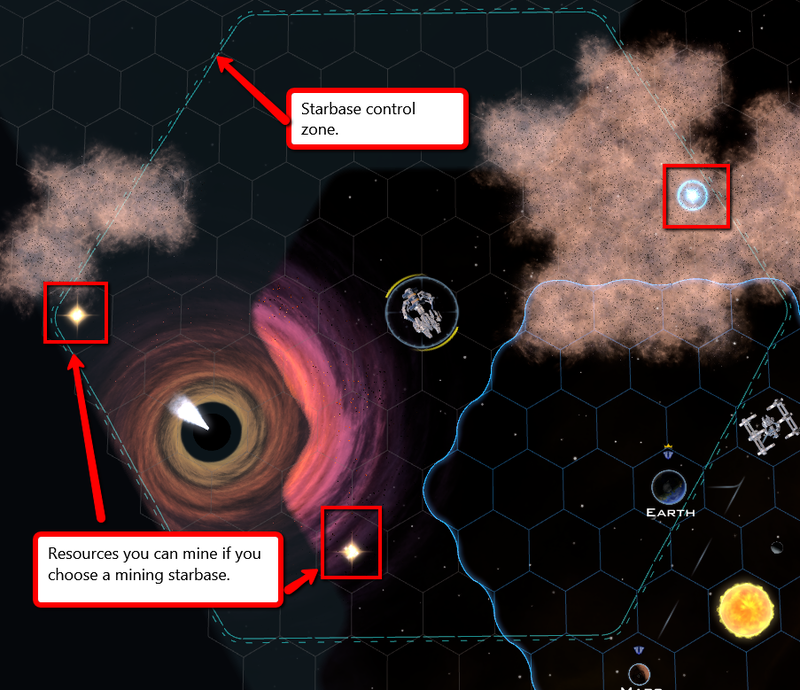 Click on an asteroid field that is in your area of influence. Build a mining base. It will send 1 raw production point to the nearest planet (you can change where it sends it to but the further away it is, the less that will get there). Research Universal Translator and then Xeno Commerce. This will allow you to build freighters which you can send to foreign planets to get money from them. Research tourism and build a port of call on your planets to convert your area of influence into money. Your influence flows out from influence sources. Think of each tile like a bucket. The further away a tile is from the source of influence, the slower that bucket will fill. It takes 6 points of influence for it to turn to a player's color and the amount of influence reaching a tile decreases exponentially based on distance. You can also build influence starbases that will act as major sources of influence on their own and magnify the influence of any worlds you have in its zone of effect. When you look at influence on your planet, think of them in terms of orders of magnitude. Single digit influence is low. Double digit influence is normal. Triple digit influence is really high. Tourism income is tied to the number of tiles you own plus the tiles that are connected to your capital world. A tourism improvement of 1% equals 1% of your tile count will become money. If I connect these two influence bubbles together my tourism income will go up. Some planets will have arable land on them. Arable land is necessary to grow crops that are high enough quality to be shipped across your empire. You can build farms on them to increase their food output. Once you have 4 surplus food you can build a city elsewhere in your empire. Cities provide 3 more population which will provide 3 raw production. 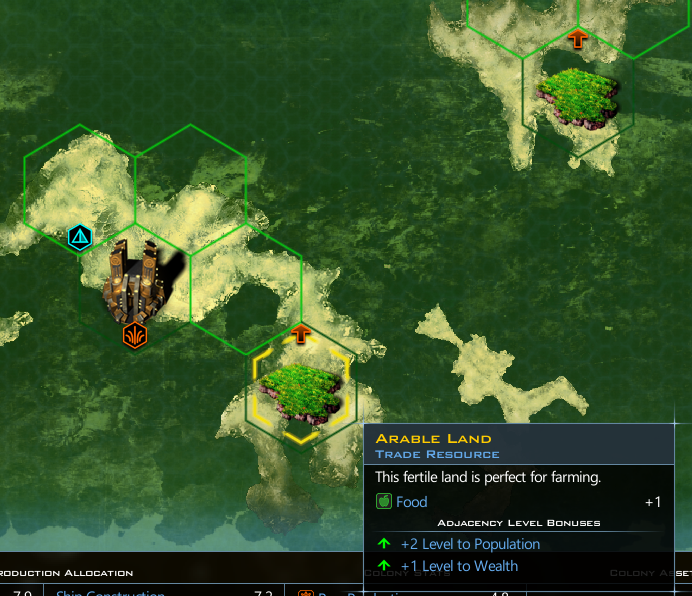 Arable land produces food that can be shipped anywhere in your empire. You will soon face the same kinds of tough decisions our own leaders in government face (or choose to avoid). For example, a fast expanding civilization will be running a deficit. How important is it that you run a balanced budget? Only you can decide. You can bring in money by sending out treasure hunt missions, or trading technologies for money, or raising taxes or building up your local economy, or sending out freighters, or through tourism, or by conquering wealthier civilizations. Your particular solution will determine your strategy. Don't worry about deficit spending. Just keep an eye on your treasury. Good luck and ask questions here! I can hardly wait! I just hope it is out in the morning when I wake up. This is a great little primer for a new player! Let them say we walked with giants. Giant user manuals. Okay but the fact is the concepts are so old and/or seen elsewhere so much that writing it up again would be fairly redundant. The tax concept for instance. Why should I read all about it, when I've played MOO: conquest of stars as recently as last week? What I'd be interested in knowing + seeing, is how the comp controlled factions perform. This could be as low budget as a school diorama, yet still provide tons of insights usable in actual honest to god games. Player mods should be given the same treatment. For instance, I'd like to know and witness, whether if I mod economics to cost 50,000 rp for the first tech would the ai de-value the entire branch, including tourism and trade? That is an extreme example, but it certainly can be informative about what we can or cannot expect from legit mods. If this and other like faqs were answered a-n-y-w-h-e-r-e, that would be terrific advertising for the game GC3 and its offshoots. After Stellaris Im unable to enjoy any other space kizi game in www.kizifan.com Same happened after EU4 and Witcher; its like your first girlfriend, you never get over it. Yes I also love galciv III. Its my game! But it looks like Stardock try to kill the game to have no more work for it. They try to frustrate the playerbase as much as possible. So they can say " to much negative reviews, there is no more sense to support the game"! It is soooo sad and so disappointing! They other reason to ignore all the players in reference to game support could only be stardock has no idea what the game is doing and no idea how to repair it. But that would be very unrealistic so it only can be the first point. They try to kill the game and stardock is on the right way to realize this! I don't think SD is actively trying to kill the game, rather the opposite. Why would they release an expansion if they would not believe in their game? For me it looks like they laid off or moved away the original programmers of the game and there is not enough documentation so they really have difficulties to address even bugs looking simple to fix. Er? If you have a list of easy to fix bugs that you are aware of, please share them with us. While every major update is inclined to create unwanted...ahem...features, that is a very different situation from suggesting that the game is somehow buggy and that we don't know how to fix them. After Stellaris Im unable to enjoy any other space game. Same happened after EU4 and Witcher; its like your first girlfriend, you never get over it. You created an account just tell us that? 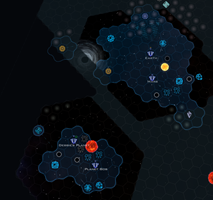 I gave Stellaris a chance. It's a choose your own adventure simulator disguised as a strategy game. Every game plays out almost exactly the same. Maybe not "easy to fix" (how would we know?!) but you want a list of bugs, here ya go. No bugs but an idea where I want to know what you devs think it? I have played Gal Civ III since its inception at Alpha. I have over 2000 hours playing so far. It is by far and away the best space 4x game on the market. Its Ai is superb and its depth of gameplay will keep you awake long past your time to sleep making the 'one more turn' a horrible reality to you the next day. The latest expansion brings me back to how challenging and deep Gal Civ II was with all its expansions. It really is an amazing game. Yes its the best game ever and "COULD" be perfect ! Frogboy, thanks for the update! I've been a customer since 2008. 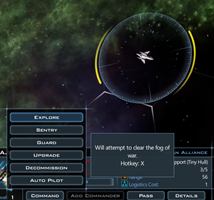 Galactic Civilizations is probably the best line of turn-based strategy on the market, and it's been that way for over a decade. It is clear that the creative team decided to focus on programming good AI, which is rare in a game like this because increased difficulty does not appeal to the casual crowd, most of the clients probably. Civ V AI breaks the game it's so bad. In 2018, we should have smart computer opponents! It's incredible that an engineering entrepreneur made a better game than billion dollar trusts like EA. I'm running a Linux box right now on a work laptop, and good thing, too. I don't know how I'd get anything done with God leading the Krynn to invade all my border planets! Just got my first cruiser class vessel, and I look forward to putting a Torian commander on it. The game's got a real Babylon V feel to it. I lost my exploration ship on turn 2 when I decided to attack a guarded anomaly, so I haven't had anything bigger than a frigate for about 50 turns. Stupid pirates! Luckily, I was able to purchase the upgraded survey ship from the bazaar, and it's better. 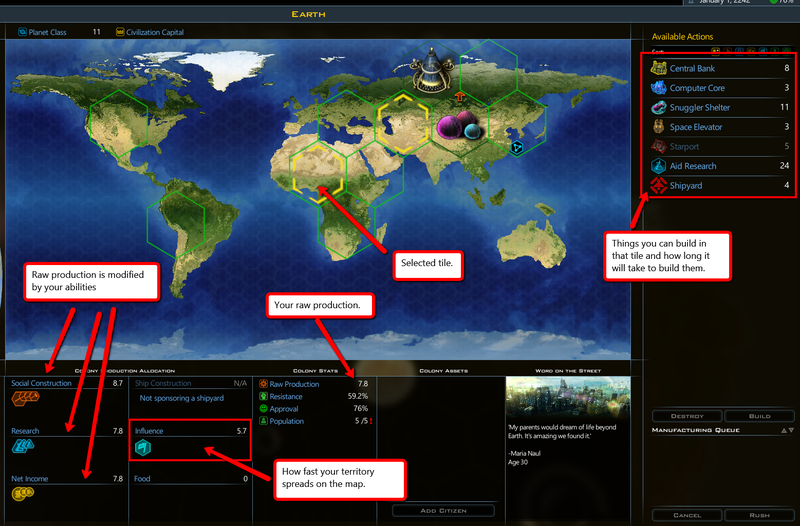 What version is the game on now and does the AI understand better how to pick a government ? v3.04 is the latest version. Any eta for the next update?